akup711, lmaguire19, whitneyyyyy88, heebs44, knottie8779dce2264ad96c and 115 others joined. sara246, mama_mea and cat765_8 earned the Name Dropper badge. Knottie51247880, mrsla0512, emmasenior, Jessica.Vogt, chrissaayy and 5 others earned the First Anniversary badge. Knottie51247880, emmasenior, Jessica.Vogt, chrissaayy and Knottie08656555 earned the Second Anniversary badge. just for fun, who are you cheering for this super bowl? Dang it I hit the button by accident prematurely. I was also going to add "snacks","puppy/kitten bowl" and "Netflix"... but oh well! I watched Concussion. Hard for me to watch football after that. Hahaha I answered commercials, but honestly, Netflix!! Also, I'm just against the Patriots. Sorry, Pats fans. @nicklesb @CanadianintheSouth that definitely makes me say I won't want my precious baby boy to play football!! OUR CABLE WENT OUT RIGHT BEFORE THE GAME. 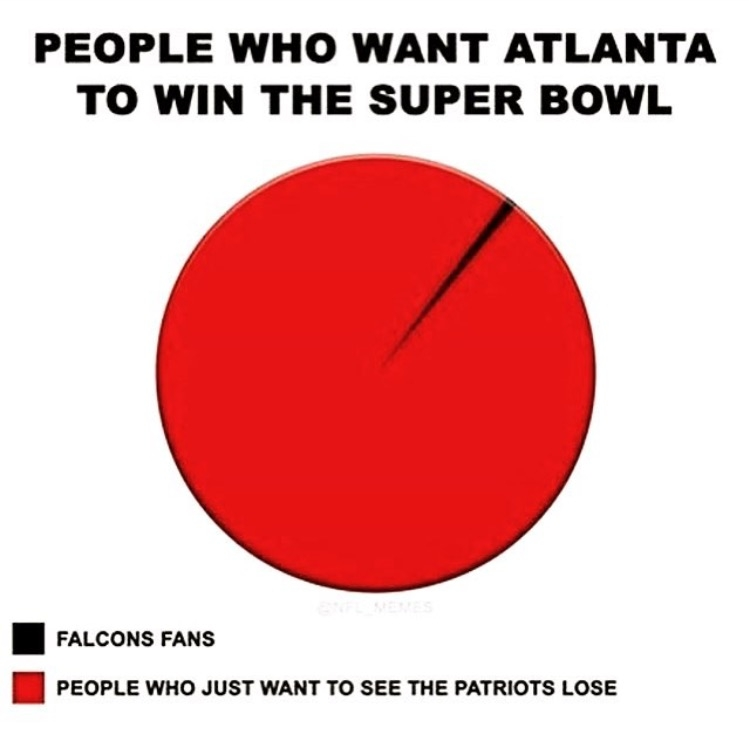 Thankfully we don't like the Pats or Falcons (I would have lost my mind if one of our teams was playing), but I'm already missing watching games on the weekends and I'm so sick I didn't want to spend hours in a bar to see the game. Blah. I'm from Massachusetts, so Patriots all the way!! (I'm well aware that I'm posting this Monday morning after they won in an amazing comeback!!!). Anyway, we have our childbirth classes on Sunday nights. My poor DH had to miss the Superbowl to attend (his choice). He was all "the outcome of this game has no long term effect on my life, but this baby does, so class trumps Superbowl". He's awesome. We got home during overtime and the only play we saw was the final touchdown. @RunBooRun Father of the Year award right there. That is the most adorable thing ever. I feel like the Patriots must have saved that final play just for him to reward him for being such a good husband/dad.